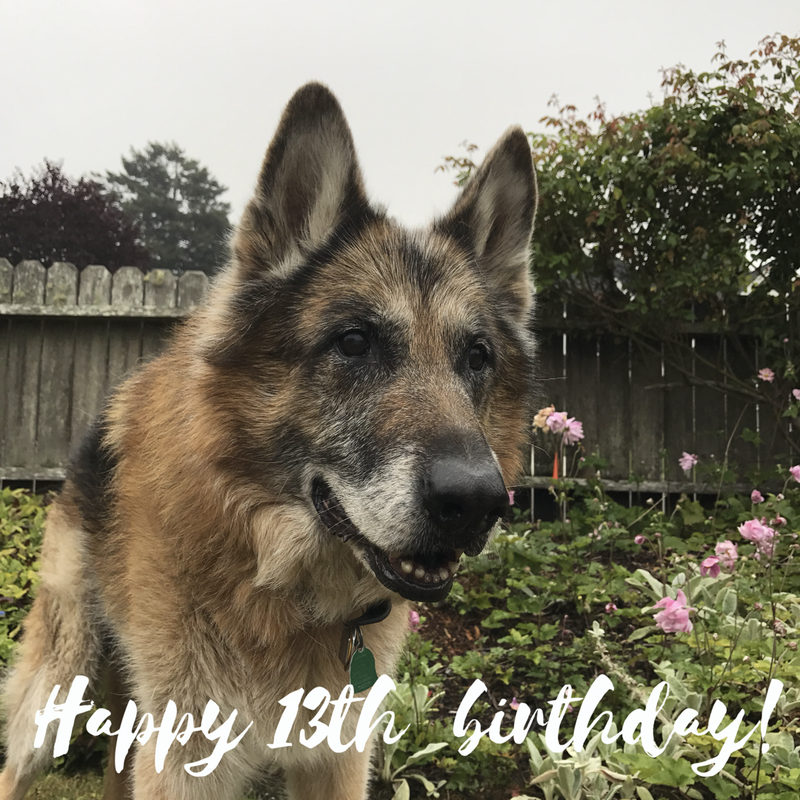 My German Shepherd Turned 13 Today! Dante, my very sweet and handsome boy, turned 13 today. This is quite an accomplishment for big breeds such as German Shepherds . Our last German Shepherd, Boomer (another great friend) was with us for just about 10 years. So I feel very blessed that Dante is still gracing our lives with his presence. Dante’s in pretty good health, for the most part. His backend is on the weak side and he’s a little stiff. There are times when his back legs seem to be out of his control and he finds himself doing the splits. But we’re still walking twice a day, very slowly, but still walking. And even at that very slow pace, it’s nice to be out with my dear friend early in the morning and in the evening. Dante’s such a good guy and still gets excited about car rides, going to the lake (which we will be doing this weekend for Labor Day), his food, going for walks – watch out if he sees a cat because then he’s like a two-year-old. Let me just clarify, I love kitties but Dante’s has never warmed to them.